Earlier this week, we spotted a $100 Premium Edition of Mortal Kombat 11 sitting patiently on the Switch eShop, just waiting for customers to come along and snap it up. Data mining efforts just hours before gave us an indication of what this edition might include, but now we have official word on the package's contents. Nintendo's website has now updated with the information below. The 13 pieces of DLC, set to be released gradually over time, will be made up of new characters, skins, and gear and buyers will also benefit from having early access to all of that content. Of course, we're still yet to see any proper footage of the game. A new video from Nintendo finally teased a first glimpse of gameplay, only to disappoint with a measly three seconds of in-game footage which consisted of pre-fight cutscenes only. Early impressions with the game sounded promising, but it's hard not to feel a little concerned that that game isn't quite up to scratch on Nintendo's machine. 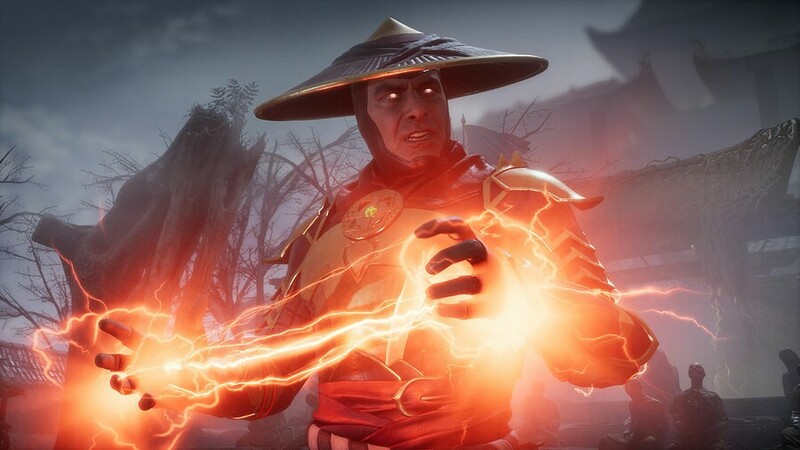 We'll find out soon either way, as Mortal Kombat 11 launches on Switch in North America on 23rd April. How can NetherRealm/Warner expect people to lay down $100 for a version of a game that hasn't even been shown off yet? In answer to your question 'Is it worth it?' - No, no it isn't. I will not accept this fatality on my wallet. I don't know what to do as there's nothing been shown ... Me scare! All digital content. Can't wait for this era of scummy business to end. Game better be PERFECT. For a Nintendo Switch of course. $40 for 6 new characters? I don't need to look at the list to know it's not worth it, basically you pay almost as much for the dlc as you do the base game but get only a small fraction of the content in return. Oh and WOW a weeks early access to DLC, seriously who cares about that? So, if you go to the Mortal Kombat 11 page in the Switch eShop, there are screenshots. Honestly, I can't tell if they are "other" versions or the Switch version. Based on the extremely quick footage of the game in the commercial, it looks like the screenshots in the MK11 eShop page have too much shadow detail to be the Switch version. However, if they are, then the game is looking rather slick on Switch. To be honest this is something that I hate about "AAA" games these days. I am fine with spending up to $60 for a game, but when they leave out content and charge extra for it, essentially making the complete game $80 - $100, I don't even want to buy it until it goes on sale bringing that price down to where it should have been. This premium edition is $129.99 in Canada, and that's before tax. It really makes me not want even the base version of the game (which is $79.99 here) for the sole reason of not supporting these guys. This should had been the actual $60 game and the base version shouldn't even exist. For something premium at the very least include a free movie, a disc soundtrack, a Shirai Ryu ninja suit, and a statue of Sub-Zero or something. That would be worth $100 to me, not this. I'm not buying this at all on Switch until I see how it runs. If it's lacking too much, I'll get it on Steam. I'll probably just wait for the inevitable XL edition in either case though. I waited for the XL version of MKX and got the game + all DLC for a fraction the cost. @KingBowser86 You're living in a fantasy world if you think digital is going ever going away and not going to take over even more. @abbyhitter $30 Seasons pass. $70 Base game. Normal prices on other platforms. Don't want to defend it, but if the version is indeed at 60fps and with the full contend offered on XBO and PS4, it's just regular pricing. If this ends like WWE 2K18 - the fk-fest can begin. But for now we have to wait for the performance of the game. I'll get it day one, but I doubt I'll get the DLC. Will become cheaper as time passes by. Not touching this game with a 40ft pole. While I won't get the game myself, I feel strange about seeing a "premium" edition digital. Should have been a physical release in box with a steelbook, artbook and some other tat. Hey, WB is doing you all a favor charging you 40 bucks for 6 characters. They're worth 30 each, easy. The base price of games hasn't increased for over a decade. This is the result of it. @Deihnyx I don’t in ANY way think it’s acceptable - but to your point, yes - actually it’s been the same price since even the Sega Mega Drive days.. at least in my country... still, the practice of half a game now, the rest later (related to fixes or DLC) is ridiculous. I getting this for my Scorpio BUT, I’m dying to see how this version turns out. If they somehow manage to pull it off, I’ll double dip. Something is telling me though... they’re not gonna pull it off. @subpopz Not the digital part, the "exclusive" "withheld" "Day One DLC" etc. content. @MaxlRoseGNR finally, someone who gets it. There’s too many comments here that don’t understand this sort of game. Personally this is a day one for me. I would have preordered already if they had shown footage, but based on the feedback of those who played and understand this type of game I’m confident it will be a worthwhile release. Counting the days! $100 and they don't even have the decency of put the entire game in the cartridge. No thanks. I will avoid this game entirely. even standard version. I think I'll just wait for the inevitable complete version like I've always done with this series. I'm not in any real rush to play it. Who would be stupid enough to spend $100 on a single game? $60 is already on the edge of reasonable. Actually that's not too bad. Its basically the base game with a code for the Kombat Pack so you pay all up front instead of later (which is fine if you a fan of the series anyways because you know you will buy the Kombat Pack anyways). That and the week early for characters is actually not too bad of a deal and a nice perk. I'm sure some people won't dig it, but for $100 that's a rather fair deal. @Mountain_Man If you're in Canada due to the weak dollar we're spending close to $70-80 for a game before tax. Add in HST 15% and we easily get to $95-100 for a new game. Maybe that is why for me $100 is rather easily to justify considering. I was in Montreal two-years ago for work. My job gave us something like $300US per diem for the week. We ate like kings. @MaxlRoseGNR yeah, that's the reality...Switch is actually getting major 3rd party releases now. But Switch owners are experiencing the business practices that publishers have learned to get away with since the PS3 and XB360 era. Not for me, not enough of a fan. I had been toying with getting it but I'll pass. In fact I'll play X on game pass if I need my fix! @Mountain_Man Love Montreal! Was there a few months back with my girlfriend and its a great city to get fantastic food on the cheap! But, yeah I really hope our dollar turns around soon. Gaming is becoming really hard to justify for launch games. That's why digital gaming is really great up here right now as tax is not included in most digital storefronts so you're actually saving money going digital over physical. I've been very picky on what I buy at launch, so MK11 is something I plan to pickup because I can easily sink 100s of hours on it due to the shear amount of content NetherRealms provides. Between a meaty solo campaign, the Krypt, arcade modes, and multiplayer they do deserve every penny I give them. Their Vita port was great; going by that, it's reasonable to expect that the Switch version will be decent too. @Splatmaster Going by MK9 and MKX I think this game will have more than enough unlockable content. NetherRealms have not disappointed me yet with their Mortal Kombat releases since their soft-reboot in 2011. From what I hear from my friends who played Injustice 2 it is just as meaty if not more than MKX. So even without the Kombat Pack I'm sure it will be $60 well spent. Outside of Shao Kahn (which is rather scummy I need to buy him separately), they appear to be building these DLC characters after the games release so it would not be on the cart anyways so this is pure extra content and post release support. Pre-ordered the premium edition on Xbox one as well as switch. That way I can get extra practice while I’m on the go with my switch. So stoked, the 23rd can’t get here soon enough!! Nope, same reason I haven't bought injustice 2 yet. And I won't consider getting MK11 (11? 11! damn, the last MK I really sank some time into was MK3) until I can get EVERYTHING for €60 or less, and then it'll be on pc (Sorry Switch, but you can't beat the beast). The lack of transparency around the Switch release caused me to pre-order it for my X instead. Scorpion is aiming at your wallet; GET OVER HERE! No thanks, I'll wait til it's in every sale bin. and with that- my interest in this project has completely evaporated. Screw WB. People really need to back up here and hold off their judgement. Believe me, I've played Netherealm's Injustice games in the past and they never have disappointed me in terms of content. I will openly admit I purchased Injustice 2 Ultimate edition for £80 and I didn't regret it a bit because the amount of content I got for that was amazing. There was a good story, tons of customization, loads of characters complete with plenty of pre-battle quotes, some even character specific, and the amount of game modes was awesome. And that's before counting any of the DLC. Also, before anyone comes at me saying "Well ur just a MK fanboy", actually I don't like Mortal Kombat, while I won't deny they are well made games, the blood and gore just is not for me. I gave Mortal Kombat 9 a shot and while I did think it was a well made game, it just wasn't suited to my tastes. @NCChris That's what I'm trying to figure out why all the hate for NetherRealms? They provide more content than most Capcom fighters for solo players (remember when Capcom removed Arcade Mode in Street Fighter 5?). That and they are very well made and polished fighting games that are meant to sink 100's of hours in not just offline play, but weekly tournaments, clans and just laying the beat-down with friends. That and between the solo campaign that actually has fully animated cut-scenes, robust length and a continuing narrative they are a blast to play on their own just for the 7-8 hours they last. 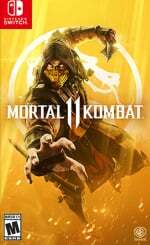 Plus the Krypt, Arcade Mode, Challenge Towers and Injustice-Styled character customization and more what can people have to be upset over them charging $60 for the base game and a bit extra to include all the DLC content (which will be rolled out over the next year for even more content and characters which would not be in the base game anyways outside of Shao Khan) which is mainly targeted at fans anyways. I'm trying to figure out how people think fighting games should be cheaper than $60 when in my time with them are the types of games that keep giving in content and play time beyond the credits. I say they have more than enough content to justify the price and unlike Capcom is bring it to the Switch for us to enjoy polishing our skills on the go before coming home to play online for the serious rounds. I’m really hoping to purchase this. I would love to play this on the go and play it anywhere. Once they actually show gameplay, I will purchase the $100 version. Xbox and PlayStation cost the same, so I’m confused why so many comments are against it. If it’s the same game with all modes and runs at 60 FPS, and you play it anywhere you want, why wouldn’t you want this? Does anyone remember when buying MKx then paying to unlock characters that were already on the disc? Now they want $40 for a handful of content. I probably won't be returning to the franchise anytime soon. @kukabuksilaks I dropped $30 on Injustice 2 Ultimate back in November. No regrets. The multiverse is fantastic, the story was alright, and multiplayer was a blast. Still a decent playerbase too. If it turns the most that will happen is that the price will be closer. I was so enraged when the Canadian Dollar was worth more and we had the joy of paying the same price as US for games not less. @PhilKenSebben I got that deal as well. Great game but I never would have payed the launch price plus dlc cost for it. The same with almost any fighting game. That's how I got the last 2 MK games and a sale of the remaster of injustice 1 on ps4 as well. I totally understand they don't show the Switch version for now. And I totally understand it doesn't mean it's a bad port. It might be a great port. 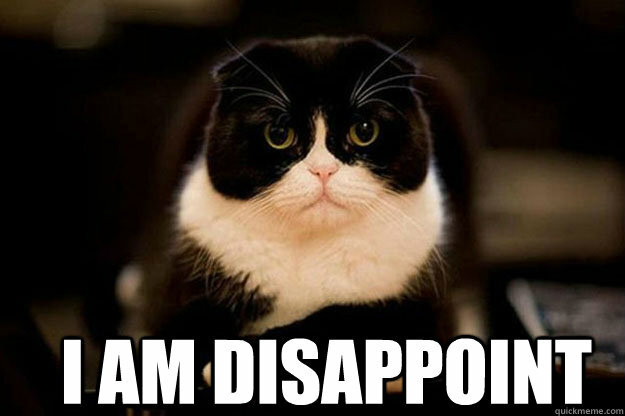 But it will be obviously far less beautiful than the XBox and PS4 versions. And general public don't get that. So trailers have to show the game in its best versions. General audience won't care if it's the switch or the PS4 version : if the game looks like a PS3 game, they will think it looks like that on PS4/X1. Even if it's a switch labeled trailer. Public don't understand the difference of power between those machines like you and me in this comments section. I'm not even sure we'll have a public switch trailer. Maybe a trailer that show PS4/X1 AND Switch versions, making its point it's not the same. That would be smart. Jesus Christ is that all? @SetupDisk I'd prefer it to get closer over what we are paying now. especially in regards to PC parts which are head and shoulders more expensive over the American prices. Oh I would too, it's just not entirely based on the value of the dollar. There was a good piece on Market Place about how Canadians get ripped off on a lot of products. At least it's not as bad as Australia though. @SetupDisk Same, except with MK. Its my weak spot. I buy the base on console, then the komplete for dirt cheap on pc down the road. Maybe a character or two on console, if I cant wait (Hi Triborg and Alien). I refuse to buy season passes though, especially when they dont list what Im getting for my money. I want to know what characters Im paying for. I remember the Wii U days, when "everyone" (the few who actually had the -awesome- system) was complaining about not getting DLC for the few third party games released on it. I felt more like "good, stay away with your filthy business practices". I'm all for expanding great games with new ACTUAL content, and for premium editions with art books and such, but this? Nope. Not that I was planning on getting this game. @Shambo You do realize all the DLC made by Netherealm is made AFTER the main game is finished, right? Netherealm has always done it this way, even as far back as Mortal Kombat 9 and Injustice 1. It's not like the garbage Capcom love to pull. @NCChris Then they should release the game when it's finished, for the price of one game. Not before that, charging for two games because some of it is still in the making, and later re-release it as the "(k/c)omplete edition" or whatever. That's how I see it. They're free to disagree, and I'm glad I'm still free to the degree that I can choose not to buy in to their vision.